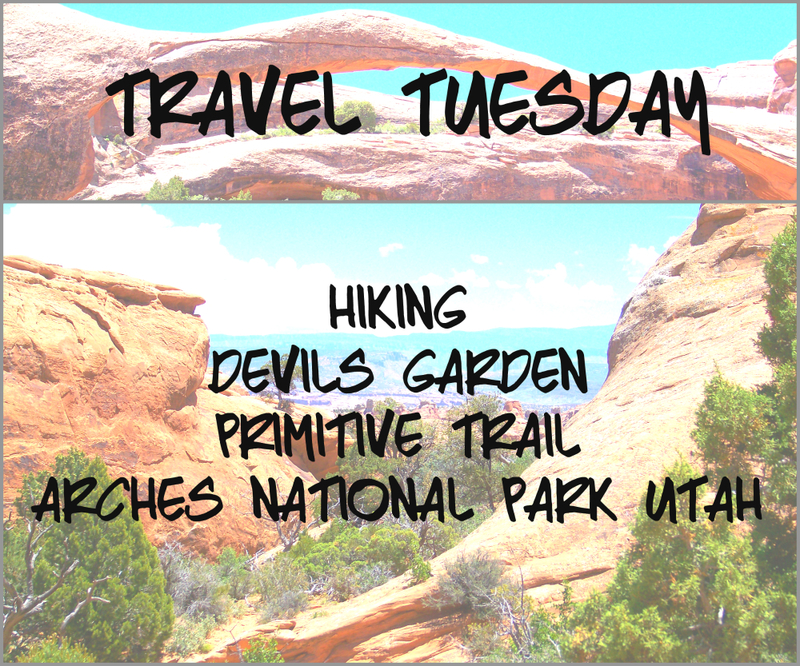 This week for Travel Tuesday I am going to take you on another adventure up in Arches National Park, Utah. 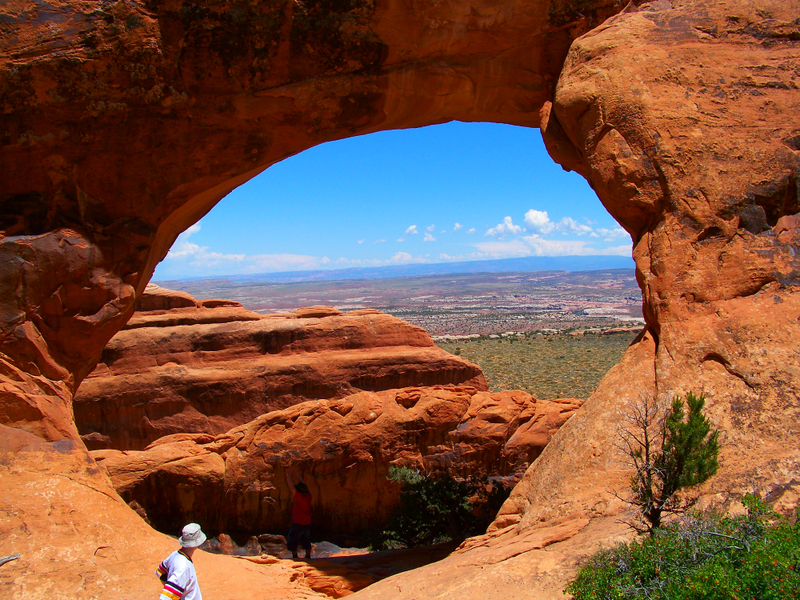 This is the Devils Garden Primitive Loop Trail. This trail is about 7.2 miles, although depending on how many or how few of the points of interest you take it could be slightly longer or a bit shorter. I recommend if it's your first time, doing the entire loop! 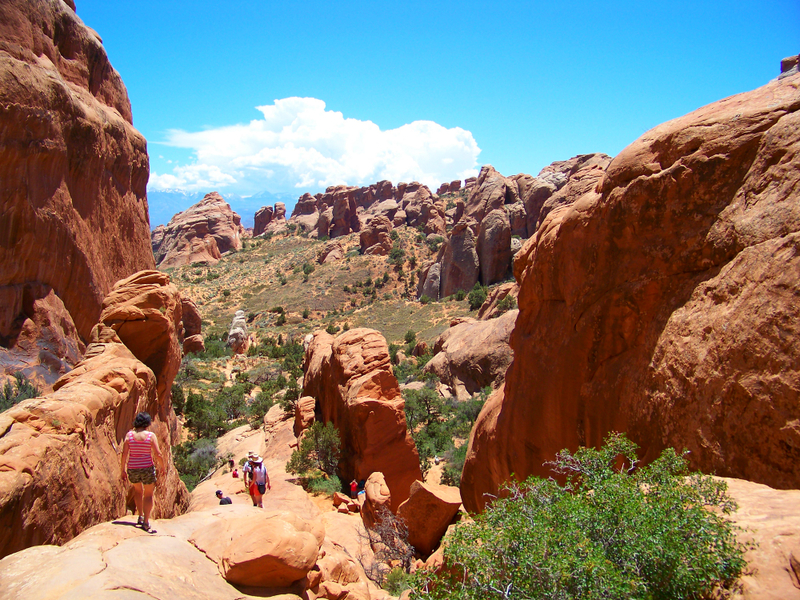 This trail will take you to 8 beautiful arches. 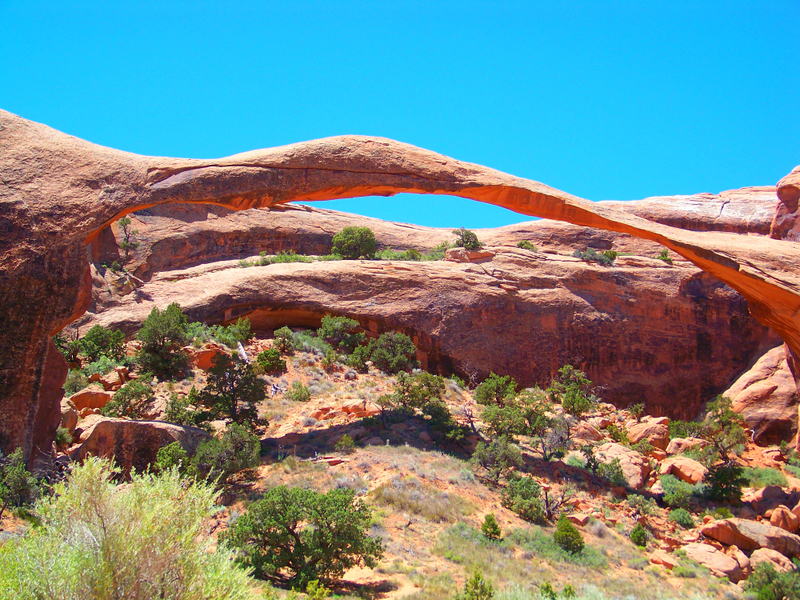 The first arch you will see is Landscape Arch, which if you want to catch my post on it you can HERE. That first portion is a very well maintained trail, very little to no difficulties. 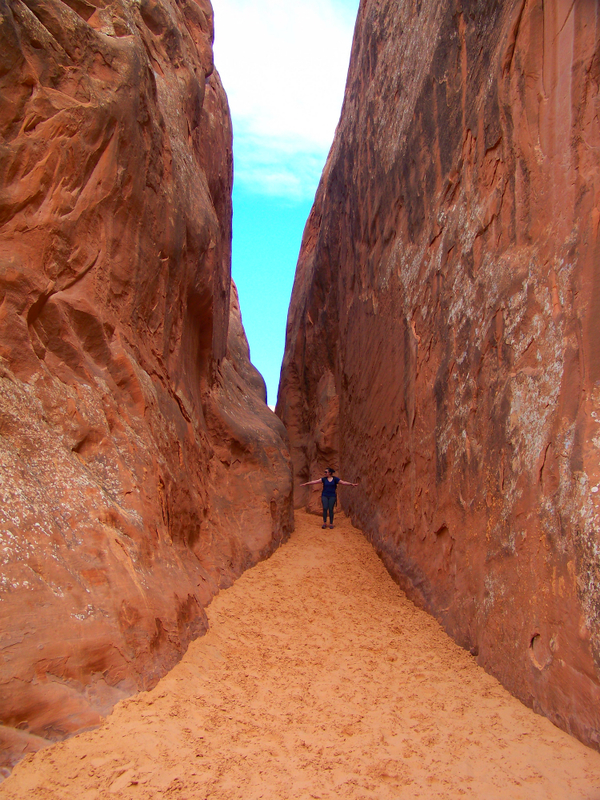 Once you get beyond Landscape Arch, the trail does get a little more difficult. 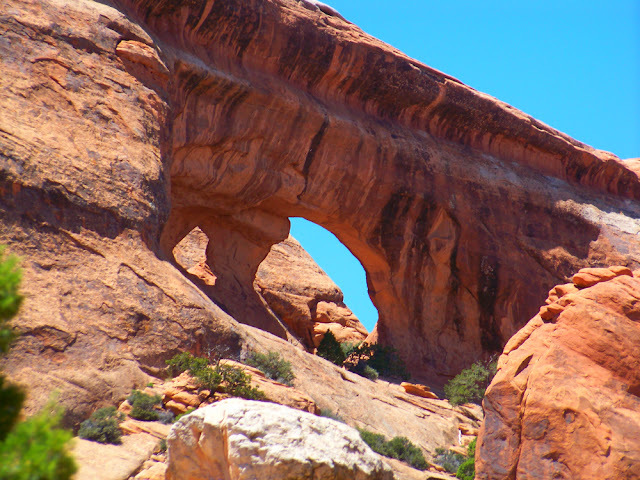 You will be doing some slickrock climbing on the sandstone rock. This next picture, are the rock fins you will begin your climb up, to get up onto the next portion of the trail. 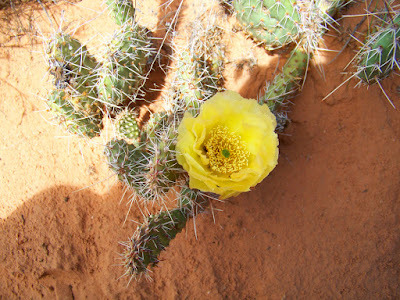 If you are unfamiliar with hiking in the desert, because rock doesn't always show signs of a trail. Just watch for the stacks of rocks, those will keep you on track and show you where to go. If you are afraid of heights, you may find some difficulties with this hike. As their are a few spots where you will be walking along edges with drop offs on both sides of you. 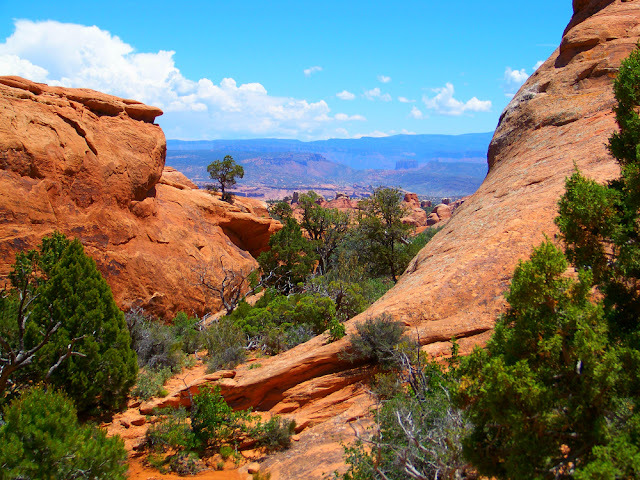 As well as climbing up and down slickrock along edges with long drop offs, further down the trail. However, with that said I hiked this as a young child. If you are a parent or guardian who is okay with lifting and directing kids or carrying them down some cliff spots at times. Especially if your kids are well behaved and used to hiking. You can definitely take the whole family on this if you'd like. If you don't think your kids are ready for it yet, save it for them when they get older! You will definitely want a good pair of shoes. 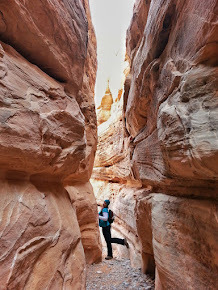 There are a few very narrow area's, with ledges that can get very sandy at times and good sturdy hiking shoes are best! There is very little shade on this trail. I did this hike this year in 100 degree heat in the middle of the summer. It was hot, but still fine because I carried plenty of water with me. If you don't like hiking in the heat, I would recommend this as a spring or fall hike. However, because in the winter with snow and ice, with the ledges and cliffs this may not be the best hike to take during icy times. There is a point on the hike where you will come to a large bowl of water (usually there is water in it.) It's just drainage from when it rains, and the rock holds the water in. I'd say about 10-15 feet across on way and about 8ish feet across between the sandstone surrounding cliffs. It's not deep you can wade across it. Last, if you can climb a little you can take a running (well that's what I did) jump and run up a bit of the cliff reaching into the cracks as you slow and climb. It's about a 25 foot climb, and I said take a running start just because the momentum helps you. If you have good shoes, its a pretty easy climb I was up it in no time. But if in bad shoes, like I saw others the day I did it, well lets just say you might just slide back down and not have the traction needed to make it up! No matter which you choose, don't let the small pool of water discourage you from getting past! It's a beautiful trail, lots to see and enjoy! If you are ever in the park, I highly recommend this hike it is worth it! Have you taken the Devils Garden Primitive Trail before? Did you enjoy it? If not, is this something you are going to add to your list of things to do if you visit Arches in Utah? 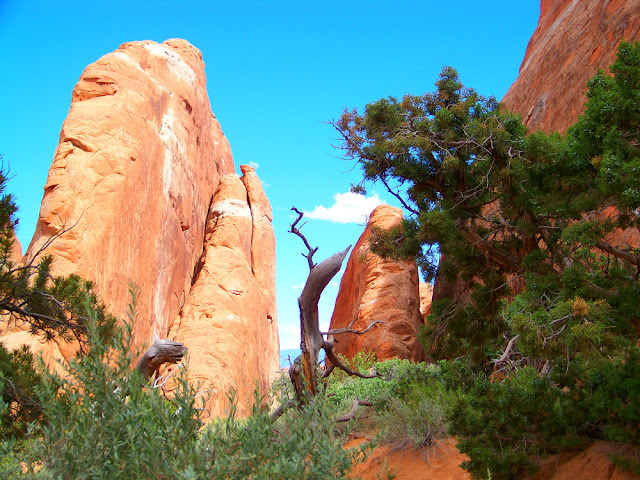 Thanks, yes it really is some beautiful country in Arches! Oh wow! I love hiking! These places look like a dream and I love your images too! Thanks Julie, its a beautiful place to visit. Oh how awesome! You do the most gorgeous hikes. 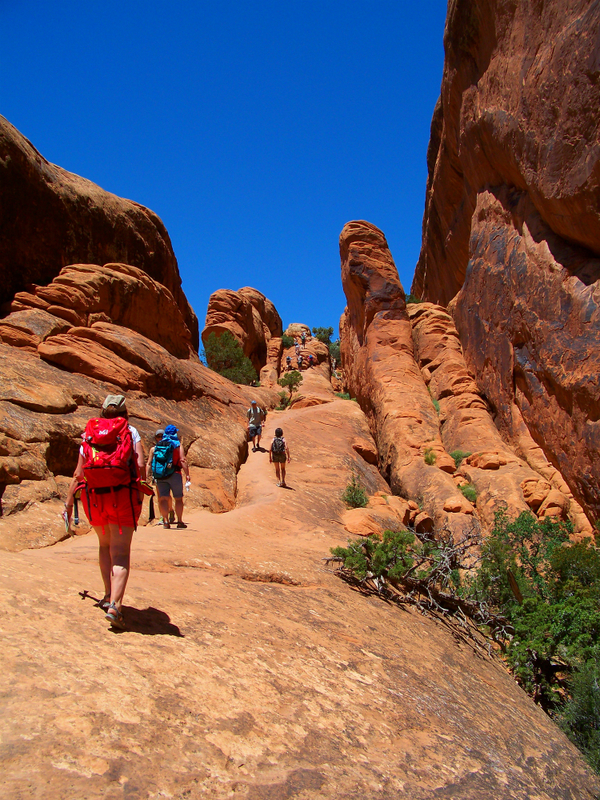 How did your ankle/tendon feel after the hike? It's weird but with plantar fasciitis, walking uphill doesn't hurt but walking on flat paths does sometimes. Thanks Denise. I actually took this one earlier this year back in June, at the time my ankle/tendon was doing quite well. 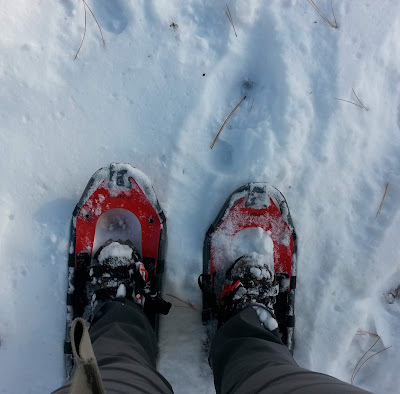 I found my hiking boots laced tight offered a lot of support, I never had any problems with it, thankfully! I have more trouble standing for long periods, or walking too slow. It's weird how things affect us huh! You really have some gorgeous places to hike! Those arches are amazing! Yes, Utah is a beautiful state I could never get bored hiking here! Great pics Kristy! Loved that hike when we went to Arches! Your pics make me want to go back! Seriously, every time I read your posts I realize how badly I need to get out there and see that part of the country!! It's so beautiful! Oh just amazing, I'm so jealous. 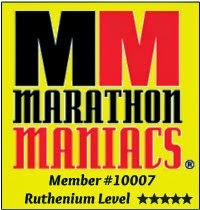 Thanks Matilda, I have been working on this new blog for a while:) glad to know others like it too! 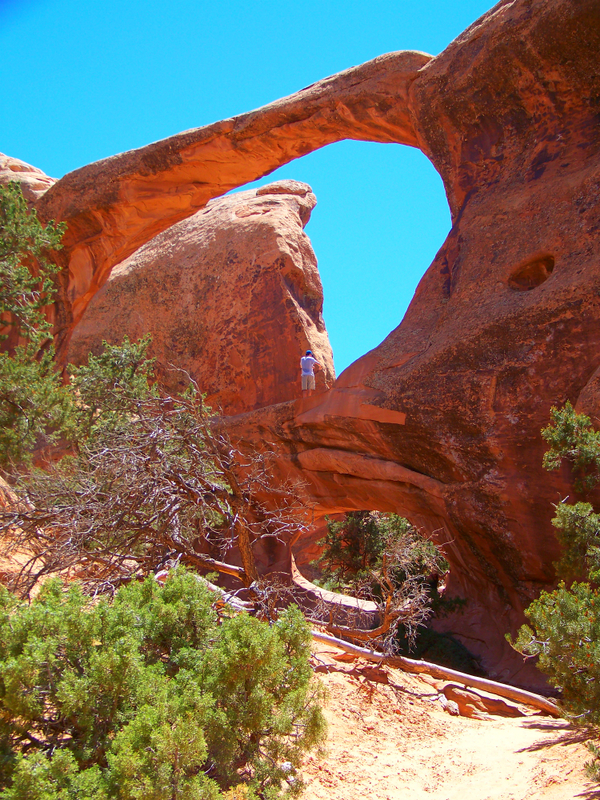 This is a beautiful hike, if ever you find yourself in the states and in Utah definitely visit Arches!! !